The war of statements and counter statements over the Benue State Government’s anti-open grazing law is far from over as Gov. 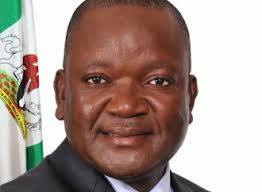 Samuel Ortom of Benue State has warned that the wrath of the law awaits any herdsman who decided to breach the anti-open grazing law. Gov Ortom handed down the warning in Makurdi when the Christian Association of Nigeria (CAN) and the Muslim community staged a protest in response to the threats credited to the Miyetti Allah Cattle Breeders Association against the anti-grazing law. Miyetti Allah Kautal Hore, the socio-cultural platform of Fulani pastoralists had said at a news conference on May 31st, 2017 that the law injured the livelihood rights and freedom of movement of its members. It, therefore, articulated its rejection of the law, vowing to mobilize to resist the law. A series of counter-statements have since greeted the news conference. 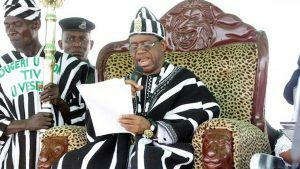 Prominent among such statements have been those of Mr Lawrence Onoja Jnr, the Benue State Commissioner for Information, the Mdzough U Tiv which is the socio-cultural organisation of the Tiv nationality; the Movement Against Fulani Occupation, (MOFA) and the the National Council of Tiv Youths (NCTY). Today, the governor reminded all those in opposition to the law of October as end of the grace period of transition and that, thereafter, the security agencies would arrest whoever resisted the implementation of the law. Sticking to the position that anybody rearing livestock must put them in ranches, the governor argued that any herdsman uncomfortable with the law had the choice of leaving the state and settling where open grazing of animals is allowed. Insisting the law had come to stay and that ranching is not just for cattle but all livestocks, the governor added that the law is meant to protect both the farmers and animals in order to ensure they did not wandering into farmlands. Rev. 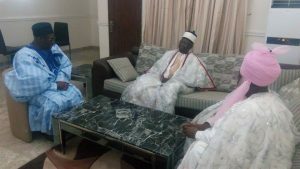 Akpen Leva, the CAN chairman in Benue and Sheik Bala Ibrahim who spoke for the Muslim community in Benue State both emphasised peaceful co-existence and the imperative of the law, with the CAN Chairman asking why, after decades of harmonious togetherness, the situation of herdsmen violence could arise. Situated in the emergence of a similar bill in Taraba State, it must be the sluggish nature of the reaction time in Nigeria’s conflict management that can explain why there has been no major intervention in this claims and counter-claims over the anti-open grazing law. The early warning sensibility, if any, is only activated when conflict transforms into hurting violence, the type that advertises Africa as a case of endemic catastrophe in Western media headlines which we then turn to grumble about. It is now a discredited analysis to assert that competition for scarce resources such as land, water, solid and liquid minerals cause conflict. It is the framing of the competition that leads to violence, not the competition itself. 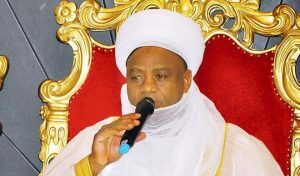 In this regard and as can be seen from the argument of the state governor, the Mzough Tiv as well as what both the title of the law and the discourses around it mirrors, etc, there is a clear or widespread framing of herdsmen violence as a deliberate agenda of land takeover and Islamisation, using Fulani herdsmen. The Miyetti Allah Kautal Hore, on the other hand, argues violation of freedom of movement and denial of livelihood by the law. As what human beings believe in is what they act by, the implication of the situation ought to be obvious to any discerning mind. As things are now, it might not take too long before skirmishes follow. As the leading force for conflict management in all modern societies, the Nigerian State is expected to have been the first actor to have made the most categorical statement about the transformation of herdsmen into a perceived threat. In this regard, many had thought the herdsmen violence presented President Buhari a golden opportunity to make a statement on elevated leadership, clarifying the state of things once and for all. It is a big puzzle that such a statement has not been forthcoming. Whether his health problems have anything to do with it is something to think about. Beyond President Buhari, the Northern Governors could have intervened but this too has not happened. 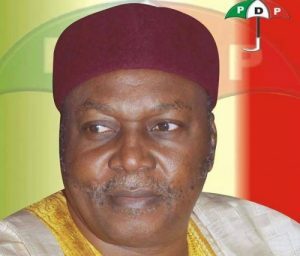 As at now, the Arewa Consultative Forum, (ACF) and the Federal Ministry of Agriculture are the other actors promising to bring up the matter somehow. Nobody doubts their capability to do so although why they waited for the bill to become law should suggest that they might not be the ones we are waiting for. However, based on new argument that it is the construction of competition rather than the competition itself that habours danger, there are those who believe that there is room for honest brokers to intervene on this vexed issue of herdsmen violence. This is, honest brokers who would intervene and produce the space for certain things to be clarified regarding the perception and/or misperception problems about the herdsmen violence in Benue and Taraba states. For instance, why do people deeply believe that Fulanis who, though not indigenous to the areas in question, can militarily conquer and occupy those spaces? Why do people believe that though lacking in the demographic capacity, Fulanis can still establish a bridge head and hold the land there when it is certain that they would be resisted? There may be the reasons for the belief in these possibilities in spite of their far fetched prospects. Unless there is a space to clarify questions of this nature, there could be problems. 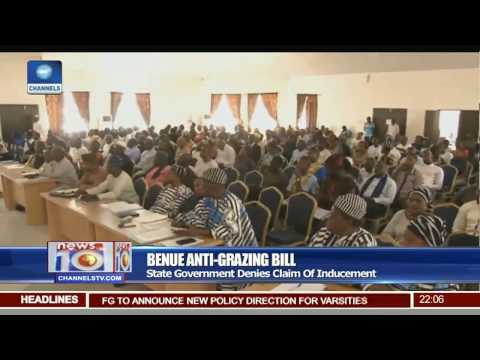 The intervention of honest brokers, wherever they might be found, might be important for the additional reason of emerging interpretations of the anti-grazing law here and there as ‘the Benue walk-away’, a reading of the anti-open grazing law as a protest message to the northern establishment serving a notice of delinking. Whether the Taraba law is being understood in this sense is not clear yet. Four more reasons have been given for an intervention. One, violence in any part of northern Nigeria now would transform into a problem which the region will, perforce, fling on the rest of Nigeria. Such would absolutely compound an already bad situation being in addition to Boko Haram. Two, such violence would necessarily develop into a strategic stalemate because it would naturally take on board other variables along the line. Third, the poorest region of Nigeria has no business entertaining the possibility of more violent conflicts anywhere in the territory because that would aggravate the poverty index. Fourth, although this is a dividing and uniting world, there is no escaping the overlapping and contingent nature of existence. All these have left a role for a different layer of power in the system. Which layer might this be? The foremost traditional rulers in the theatre of herdsmen violence so far? The Och’Idoma of Idoma for Agatu, the Tor Tiv for Logo; the Aku Uka of Wukari for Wukari/Taraba and the Sultan of Sokoto for the Fulanis? In other words, without any illusion about the Idoma, Tiv, Jukun and Fulani identity of these traditional rulers, there is a high minded expectation that they can provide an inter-discursive space for clarifying the herdsmen problem unique to the areas in which they rule.